Diagnosed with muscular dystrophy, David Muir eventually became ventilator-dependent and as a result, was unable to speak. David experienced firsthand the isolation and frustration caused by the loss of his voice. 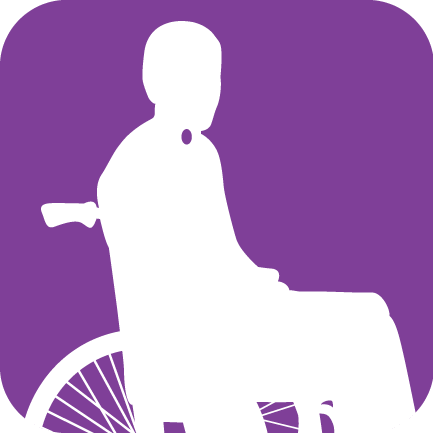 After months of being unable to communicate, David was determined that he would not continue to suffer in silence. From his wheelchair, he used his scientific background to invent a speaking Valve that could be used on and off the ventilator. His Valve restored his voice and the freedom to communicate with his family, friends, and medical team. Since then, The Passy MuirTracheostomy & Ventilator Swallowing and Speaking Valve (PMV®) has been essential to the treatment of tracheostomized and ventilator-dependent patients around the world. 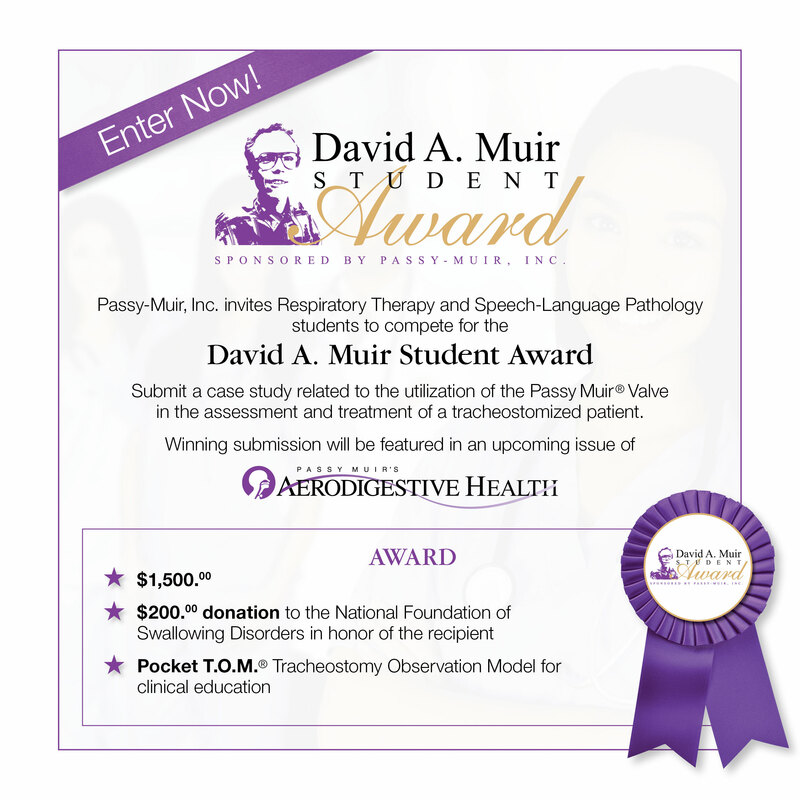 In honor of David’s legacy, Passy Muir has established the David A. Muir Student Award, an award that aims to support students who contribute to the treatment of tracheostomized patients through the use of the Passy Muir Speaking Valve. To read David’s full story, click here.